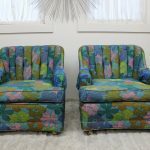 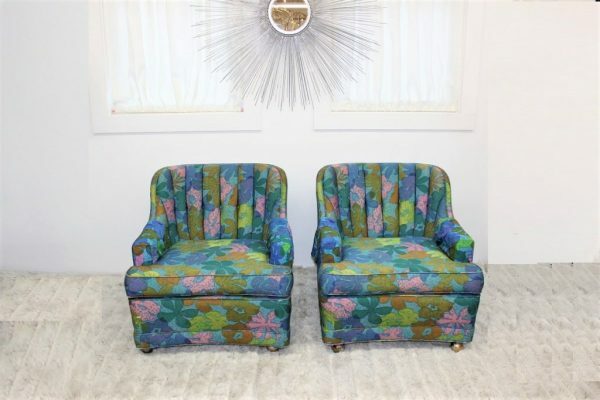 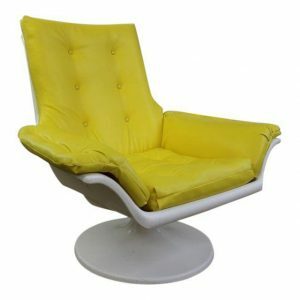 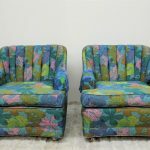 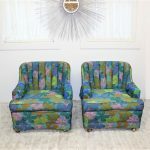 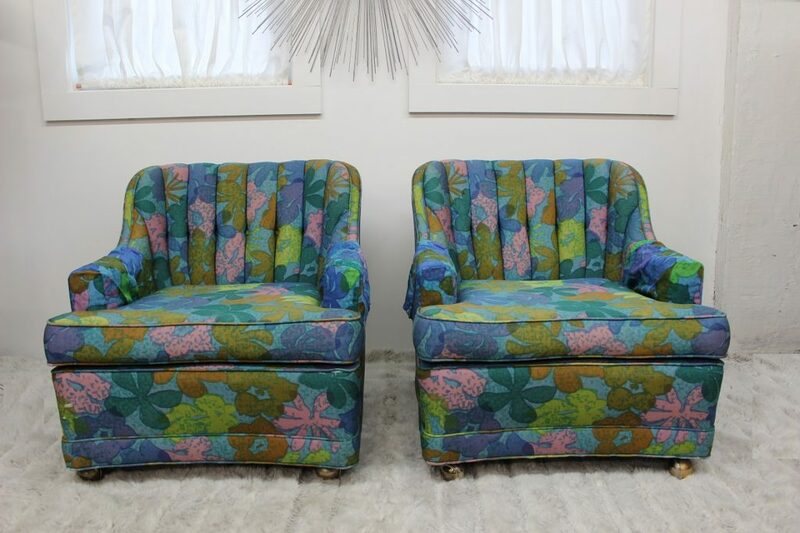 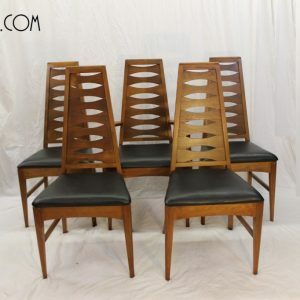 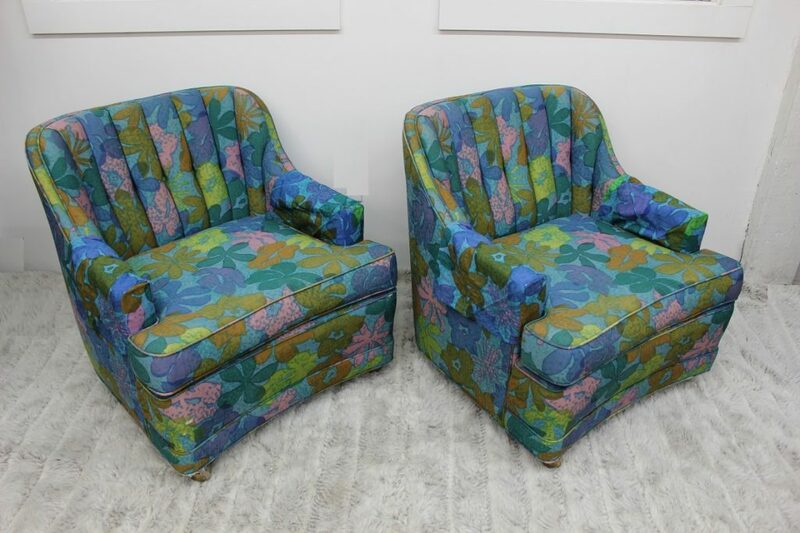 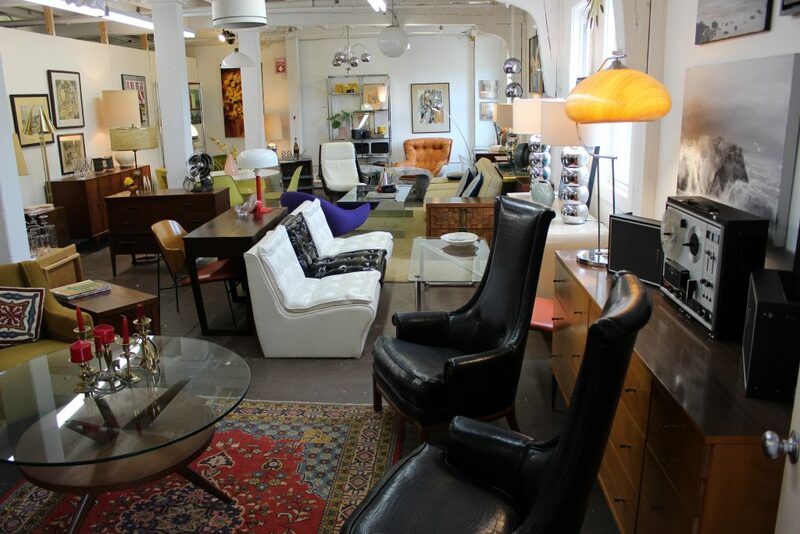 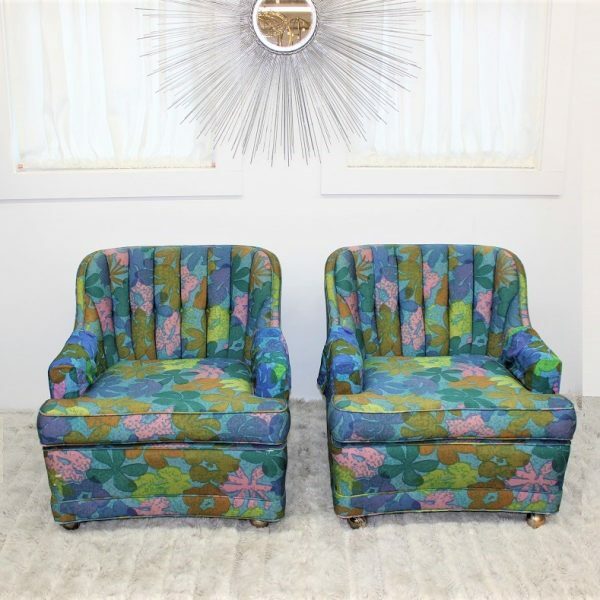 These beautiful Majestic floral chairs come to you straight from the Mid Century Modern period. 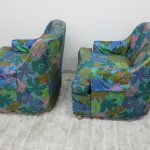 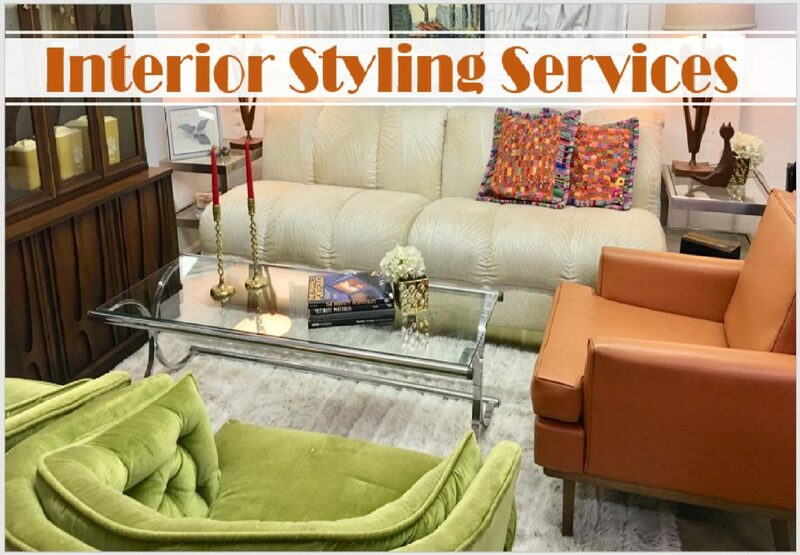 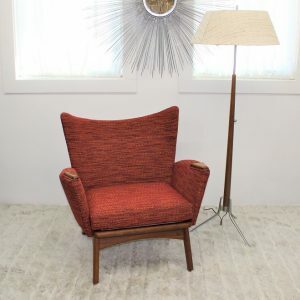 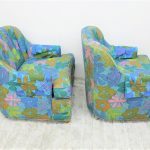 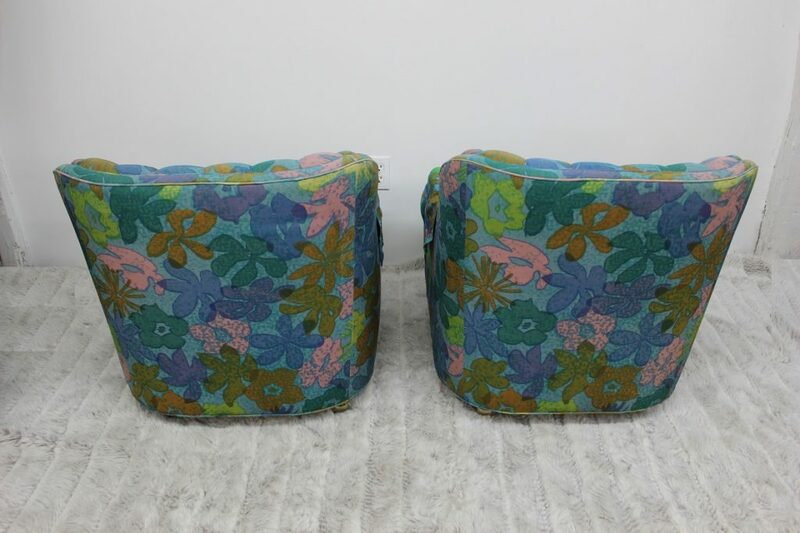 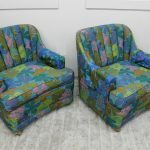 These chairs come with a popping upholstery with a very beautiful pattern, they are on wheels makes them very easy to fit into different spaces in your home. 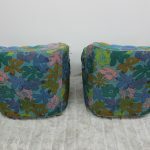 They are the perfect addition to any eclectic, vintage, and boho style decors. 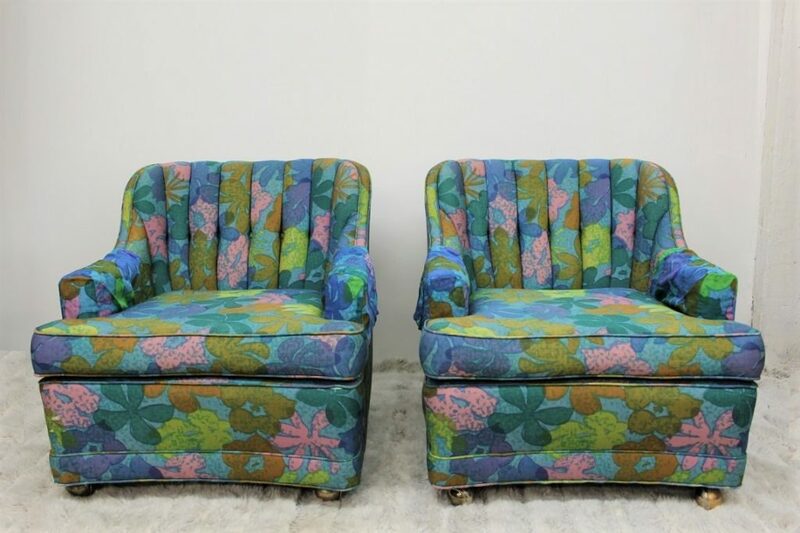 They have minimal wear on the upholstery and normal wear to the wheels. 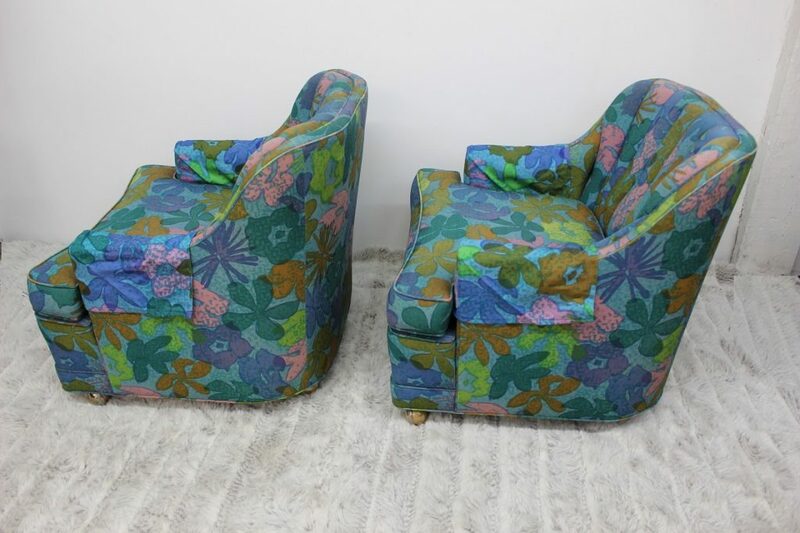 Certainly, they could use a cleaning but they can be used as is for a while. 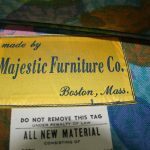 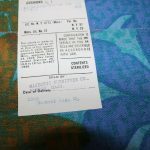 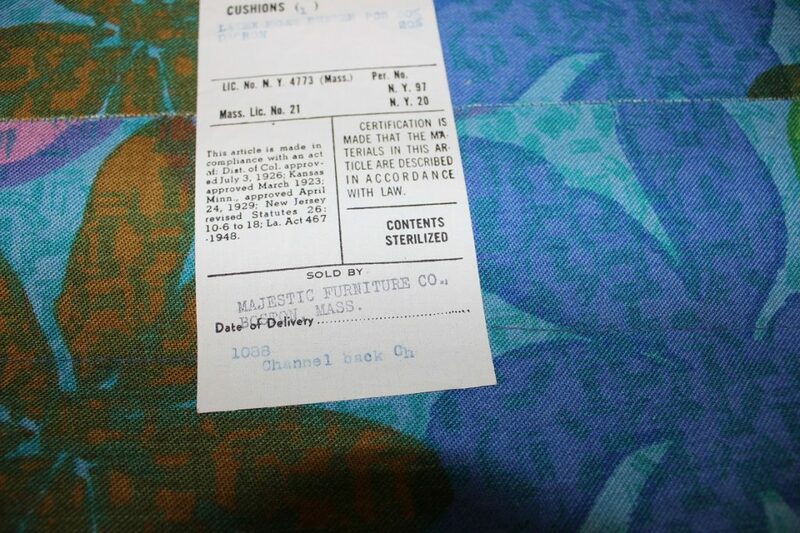 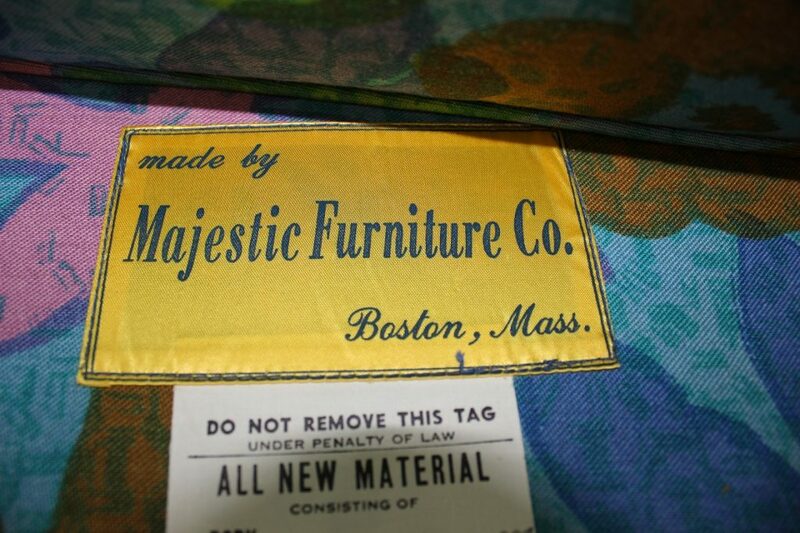 Underneath the seat cushions, the tags are still intact and they read Majestic Furniture Inc. 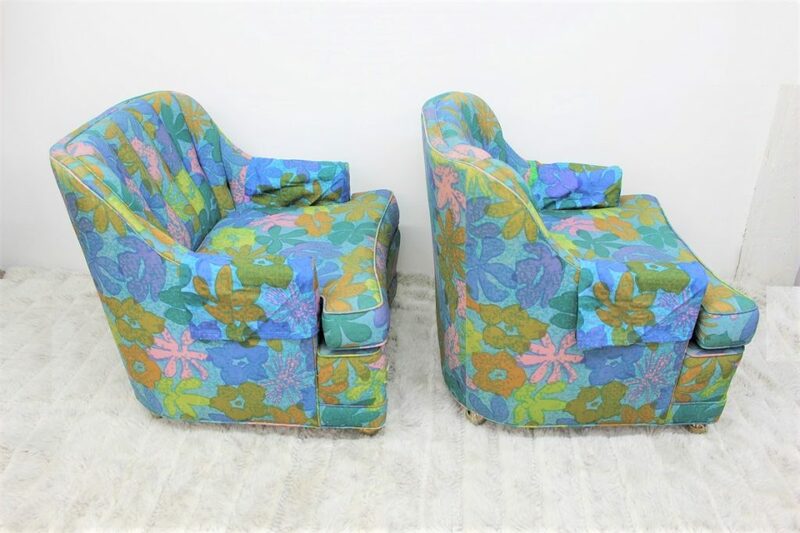 These chairs are 29″ high, 29″ front to back, 29″ arm to arm and 17″ to the seat.